Annette has infused her Little House collection with new colors and patterns. Classic crib sets have been updated with new combinations. Velour bumpers have arrived in style with new poplin prints. New favorites are being talked about. 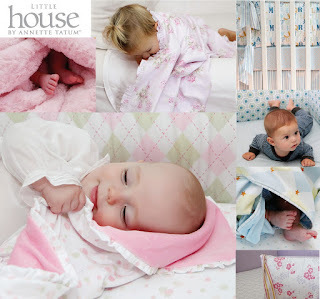 View the 2009 Little House catalog and let us know your favorite. And, enjoy a gift from us ... receive a complimentary coordinating crib sheet with your Little House Crib Set purchase. No coupon code necessary, we'll just add it to your order when it ships.